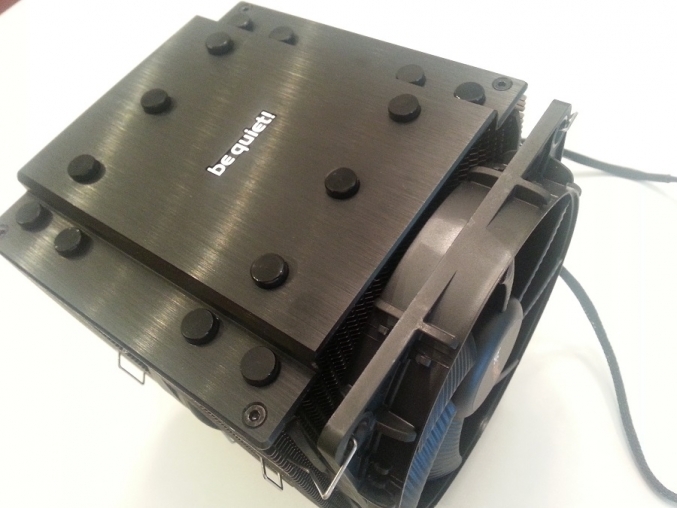 It’s not very often that a CPU cooler is something that can cause any level of excitement, but the Dark Rock Pro 3 by beQuiet! 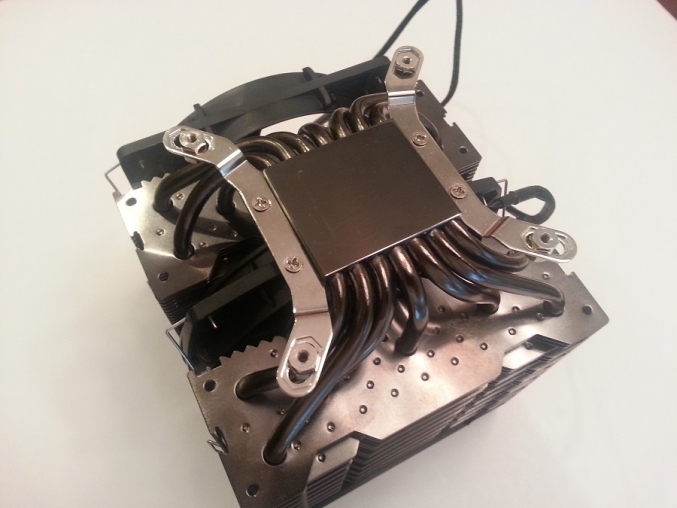 excels in every criteria one can use to rate a CPU cooler, it’s hard not to be impressed. Right out of the box, the build and material quality is immediately evident. It’s very clear that the folks at beQuiet! 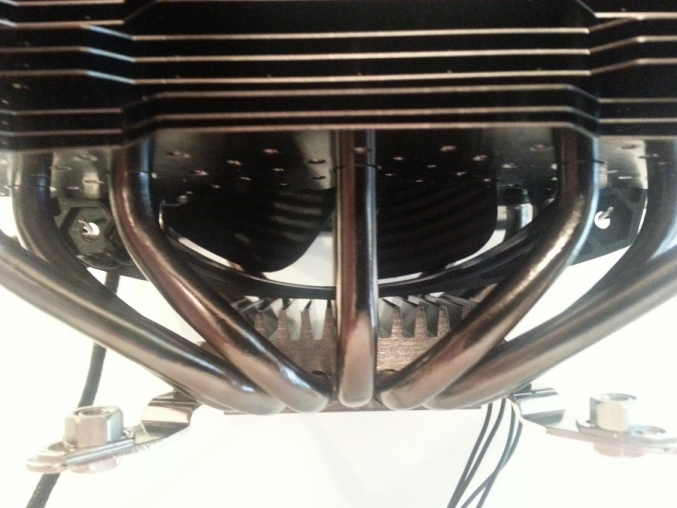 put alot of thought in it’s construction, with the added fins on the heatsink plate itself for further heat dissipation as an example. Nothing about it feels cheap and everything about it suggests it’s good at what it does, keeping your CPU nice and cool. So it was no surprise when we put it to the test and it delivered the goods. Seeing it keep pace with a water cooled solution speaks volumes, and having the ability to get that level cooling and forego the hassle that water cooling should be a worthy reason any enthusiast should seriously consider the Dark Rock Pro 3. The only area I would have liked to do more concrete testing was the sound, with our decibel meter unfortunately out of commission, the best I can do is say that beQuiet! claims the Dark Rock Pro 3 is virtually silent and when I isolated our test system down to just it running (no other case fans were powered on)…virtually silent is about dead on accurate. So if you’re worried about the amount of sound, chances are highly likely that you have case fans in your system now that are louder than the Dark Rock Pro 3. At the time of this writing, I was able to find the Dark Rock Pro 3 on the net from anywhere between $89 and $109 dollars. For that price range, it’s price competitively to it’s competitors, but for the price I firmly believe that the Dark Rock Pro 3 brings more to the table for the same money. For these reasons, the Dark Rock Pro 3 earns our Editor’s Choice Award. We would like to thank beQuiet! for making this review possible.